So I got myself a ‘5’ user version of UnixWare 7.1.1 to add to my collection, along with a copy of Word Perfect 5.1 for UNIX (i386 SYSV it would seem). From the wikipedia link, 7.1.1 was the last release from “old SCO” the company that brought us exciting things like Xenix, SCO Unix and SCO OpenServer (although it’s about as ‘open’ as VMS). Anyways I went ahead and installed it in Virtual PC 2007, and it was a pretty straight forward install. The only catch has been that if you suspend the virtual machine, the networking will cease to function. And as it stands right now I don’t have any sound, but I doubt that’ll be that big of an issue. Then I just ran the ‘wpinstall’. Now what is weird about this install is that word perfect then just has you hand it all the disks in any random order, then it’ll start to configure itself. While it does support over 200 terminal types, it seems that the “dtterm” console is not among them. Also what was weird is that for the X11 component the Univel UnixWare (the direct descendant to SCO UnixWare) did *NOT* work, while SCO Unix did. I would imagine if you had a pre 2000 release of any Linux you could run this via iBCS, however that project seems to have died on the vine. The last time I tried to run Xenix stuff on NetBSD/FreeBSD & OpenBSD I was met with kernel panics and disaster. I don’t think anyone runs this stuff anymore, and now that we know how to run Xenix under Qemu/Virtual PC I guess that basically takes care of that. Speaking of Xenix, it would seem that all of the 7.x releases of UnixWare do not include compatibility for the x.out exe format either. At any rate, I figured I could just go ahead and run my builds of Quake & Doom on a seemingly ‘slightly’ older 7.1.1 without issue. So I ended up shuffling around my UnixWare stuff to separate the 7.1.3 from the new 7.1.1 stuff. In retrospect, I would imagine you can run 7.1.1 binaries on 7.1.3, but not the other way around… But in retrospect, that is to be expected. I’m not sure how to even play with the X11 configuration so right now I’m limited to 256 colors… But you get the idea. i have to say, i love this blog. the same day i dig up my (not so old) UnixWare CDs and start fooling around, this post appears. but please upload at least the gzip package in simple tar format, because somehow tar only throws errors at me, and gunzip is not installed by default on UW. i could uncompress the thing on my main Linux system, re-tar it and upload it to my Dropbox, i'm just asking for the sake of convenience. And even on circa 2000 UnixWare I got a gzip executable. It's in that all standard UNIX 'compress' format that any 32bit Unix should understand, and yes UnixWare is among them. And you get the idea…..
thank you so much. 🙂 there are times when you just don't think of the obvious.. I must admit it, I'm amazed just how fast, even under Virtual PC, the C compiler is on UnixWare. well I figured out where to change my display resolution to 1024×768 and 16bit… so thats certainly nicer. I know the old Xenix used Microsoft C for the compiler (no surprise), but it seems that part of UnixWare 7's push was to remove all the Microsoft components from it, including x.out support. i'm using it on real hardware (my Thinkpad) on a spare partition, so i can use the radeon driver, but i really can't get sound working. it's mostly needed for your doom and quake ports, but even so i'll have to look into it. this reminds me, do you happen to know where the kernel sources are kept? on the first boot the system said 'the UNIX kernel will now be rebuilt', so i guess they are included, but not under /usr/src. Also as far as I'm aware, they never distributed source, but rather a 'link kit' of all the object files, or libraries for each directory of SYSV and it just links from there…. I got an unixware 2.01 media set, it works ok. in bochs, but no luck with the networking. What worth a unix without networking? I think 1/2 were more so ipx based back then as novell was completely sidelined by the internet.. And iirc in 1.0/1.1 networking was optional. Do want and testing things on it! Thanks for this. However, when I tried to boot the floppy in Virtual PC 2007, it goes past the Novell boot screen just fine, then it hangs there in a black screen. I had better luck with VirtualBox but when getting to the time/date configuration screen, my keyboard all of the sudden doesn’t respond to the up/down keys. Nothing happens when I press F10. Bochs 2.4.6 refuses to recognize the boot disk. I haven’t tested this in VMware, but VMware isn’t my choice because it takes huge amounts of memory and I would like some help. Can you give some guidance? the EBP/ESP lead me to think its some problem with the BIOS…???? I just tried it in VMware 3 and Bochs 2.5.1. It still gives me the keyboard problem. Well, I think it only works on older computers. Did you try to use a bios image from an older computer? Just to save you some time, UnixWare boots and goes to the install screen in QEMU 0.15. However, as I mentioned in my first post, UnixWare had a keyboard problem in VirtualBox, VMware, and Bochs. Strangely, pressing TAB does nothing! Try to install on an older computer if you can, like in 1995 or 1996. I have an NEC Ready 9850 Computer that I hope to test with. BTW, I heard in a post that UnixWare 2.01 access hardware differently. What version of Bochs did vi310 use, and how did he do it? All I know is to disable floppy signature checking. That fixed UnixWare not booting in Bochs. i. love. you. seriously. been looking for this for ages. thank you. Now I am getting a “PANIC: vfs_mountroot: cannot mount root” error message in bochs 2.4.6 after finishing installing it! Now I need help! For a quick win, here is a zip containing a working bochs (2.5.1) hdd image and a bochsrc. You need to edit some path information in the .bxrc, nothing else. If you want to play around with the nic, tcpip, user setup, here is the 1st stage of the installation. Start up the .img and make your choices. You have to use lic.img at the final activation. 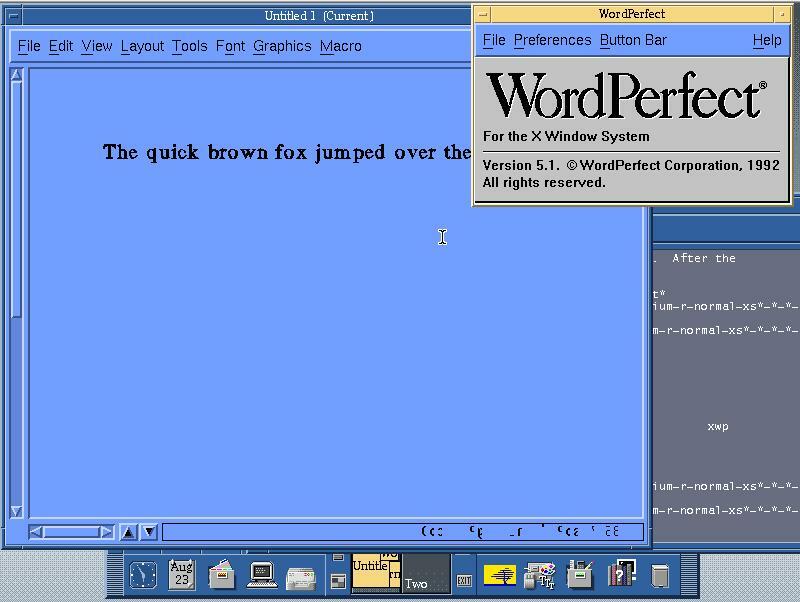 Neozeed, is WordPerfect for UNIX still copyrighted? I assume its abandonware since it was made in 1992. That software is already 20 years old. Also, does it work on Novell UnixWare 2.01 (NOT Sco Unixware)? it seems that the unixware 7.1.1 packages disappeared, i suppose sometime when the vps saga was going on. could you please re-upload them? i managed to get my hands on some real vintage hardware and a 7.1.1 media set, it would be awesome to play with doom (and be able to gunzip files).. I just downloaded them….  remember you have to click the redirection link, and use the username/password on the 404 page. it’s be best compromise I could think of from that .DE spam idiot. crap, i forgot about the new system. sorry about that. Next Next post: Qemu 0.13.0-rc0 released! Ultimate Christmas! Ultimate DooM! giveaway!